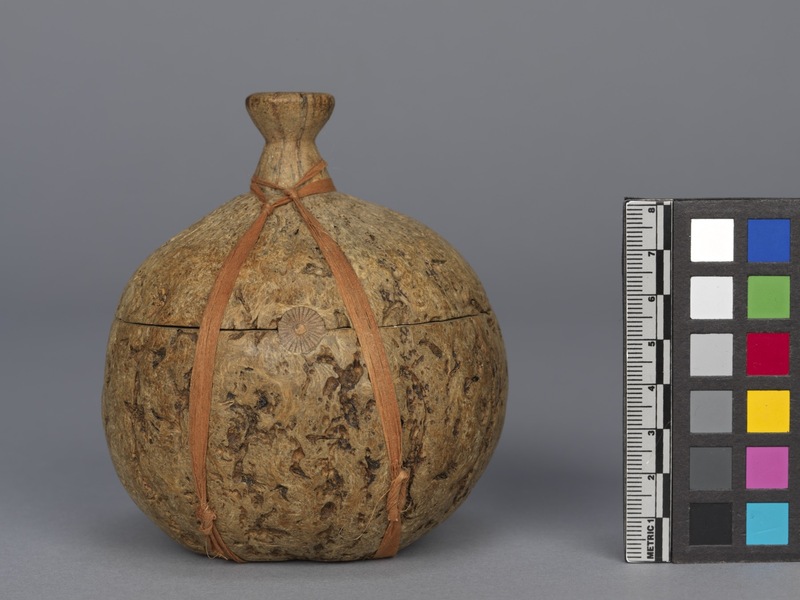 Item number 3197/8 from the MOA: University of British Columbia. Container made from the capsule shell of a brazil nut. Round shell has been cut smoothly in half to create a dish with a lid, with a small flattened foot area on the base. The woody bark has been removed, leaving the exterior smooth, with some natural scarring. Three small round medallions of nutshell have been set into holes carved into the rim of the dish that correspond to holes in the lid, ensuring a tight fit between the two. 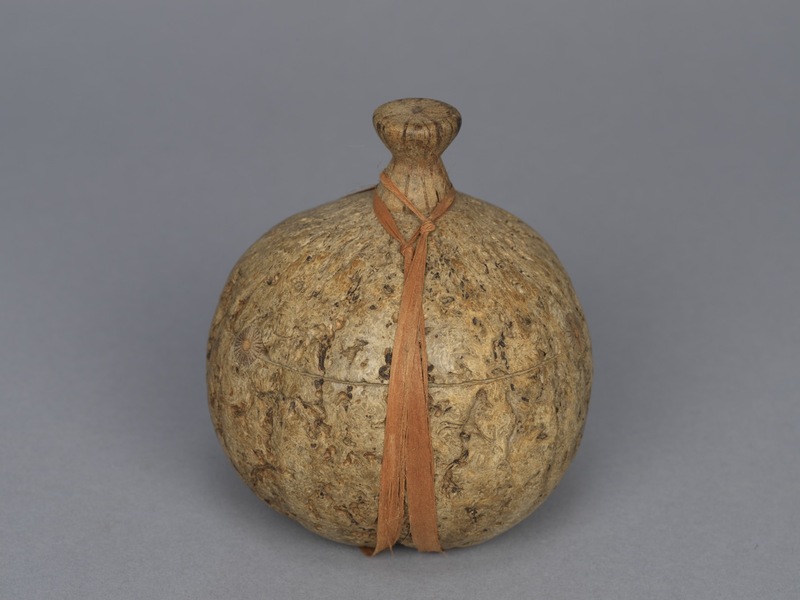 A round wooden handle is attached to the top of the lid, around which is knotted plant fibre that also encircles the container from top to bottom, further holding the two pieces together.